Our favourite feline just collaborated with yet another brand and keeping our food and drinks warm is now cuter and more stylish than ever. 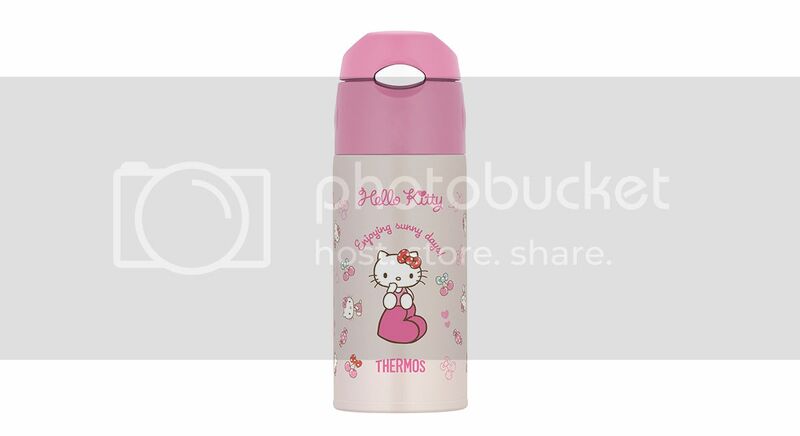 Thermos® Singapore announces new Hello Kitty designs in the form of a one-push tumbler, straw bottle and food jar. The designs and colours had Hello Kitty aesthetics in mind, keeping to colours like pastel pink and white. However, there is one tumbler in black, for those of us who prefer to be a little more subtle, but still want to indulge in our love for Hello Kitty. Adult all-time fans of Sanrio Hello Kitty can now own a stylish hydration collectible with their favourite character design that offers the perfect balance of cool and cuteness. Specially designed for Sanrio Hello Kitty adult lovers and first launched in Singapore, the 500ml Thermos® Sanrio Hello Kitty JNX-500HKS Ultra-Light One-Push Tumbler features golden designs of Kitty White with her carry case, key lock and apples against a Matt Black background. The portable leak-proof tumbler comes with a lockable one-push button, removable drinking spout, and can keep beverages hot or cold for at least 6 hours. 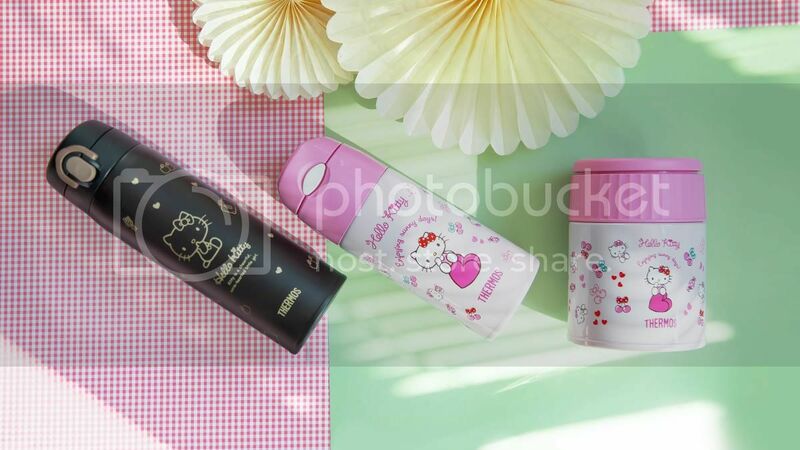 Embrace kawaii cuteness with the new Thermos® Sanrio Hello Kitty FHL-400HKS Straw Bottle and JBQ-400HKS Food Jar that feature an all-new refreshed and sleek design with a touch of soft pink, and first launched in Singapore. Available in a handy size of 400ml, the Straw Bottle is designed with child safety and convenience in mind, with a non-protruding one-push button to open the bottle’s lid easily and leak-proof to prevent spillage. 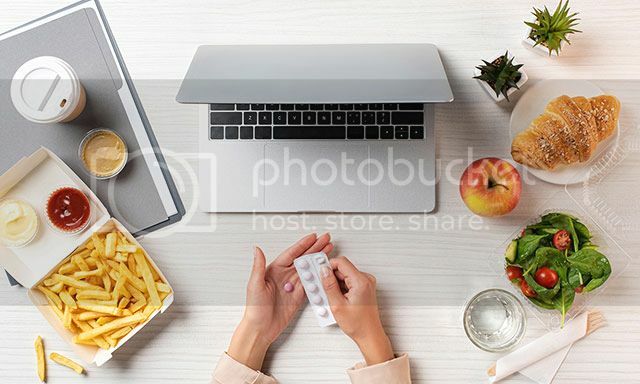 It also has a pop-up hygienic silicone straw, a wide mouth diameter of 4.4cm for ice cubes, and will retain the temperature of drinks as cold as 11oC and below, after six hours. 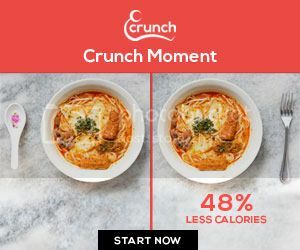 The new 400ml leak-proof Food Jar features detachable lids for usage convenience and thorough cleaning, with light and compact design, perfect to bring along at any time. 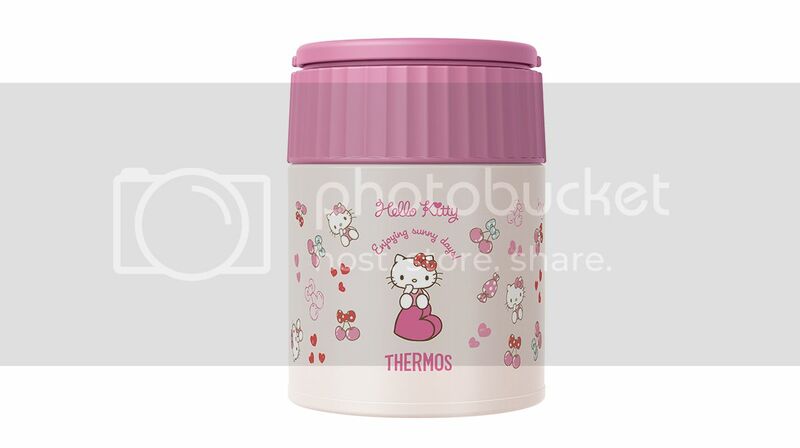 It keeps food hot or cold for at least six hours, an ideal companion for Hello Kitty fans of all ages. 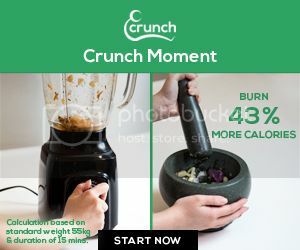 For more information on Thermos® brand’s range of products, check out www.thermos.com.sg, and stay connected at www.facebook.com/thermos.singapore and www.instagram.com/thermos_singapore. 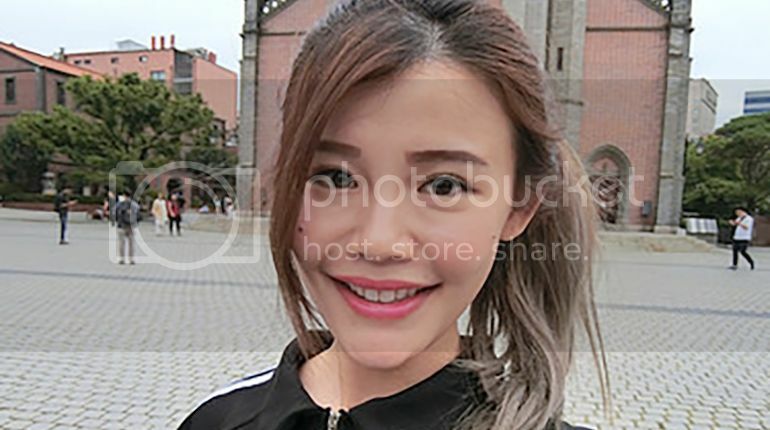 The products are available at all leading department stores in Singapore.